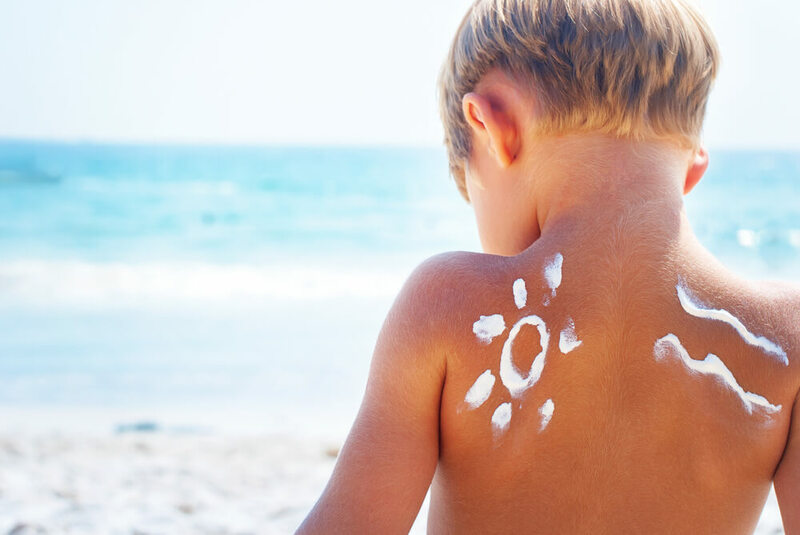 SPF alone is not the best way to protect against sun damage for your child. The next time your little one goes out in the sun, take these precautions to protect their delicate skin! Oh Baby! is a monthly series where an expert shares the scoop on all you need to know for the littlest members in your family. 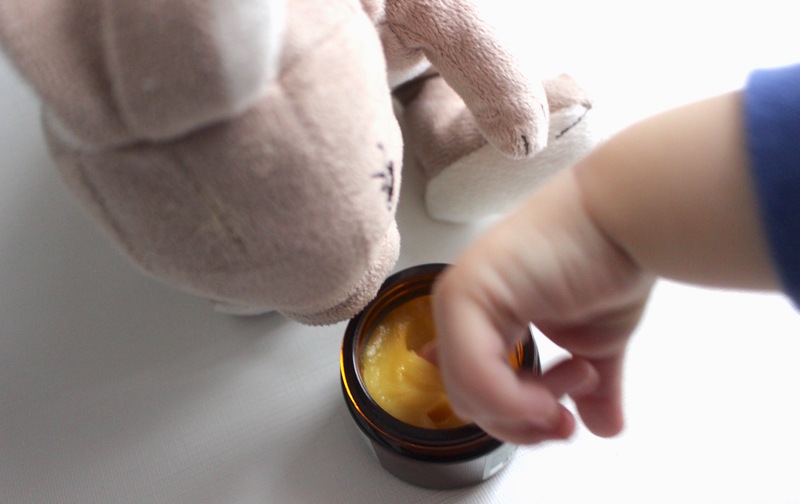 Check out our first installment on baby skin care and second installment on breastfeeding must-haves! If you’re looking for more information on beauty and skincare, you’re in luck! I’m currently offering 1-to-1 virtual consultations and through Well.ca Services! 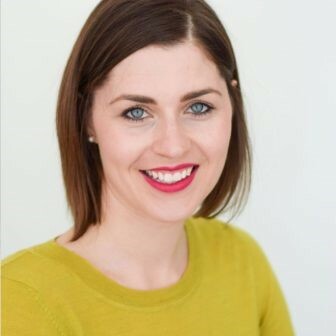 To book with me visit https://well.ca/services! It doesn’t take an expert to recognize that a baby’s skin is different than an adult’s. Aside from being silky and smooth, studies show that an infant’s skin contains less melanin, which is one of the body’s natural ways to protect itself from the sun. According to the American Academy of Dermatology, it only takes one blistering sunburn during childhood or adolescence to increase a person’s chance of melanoma later in life. Like many parents, I find myself constantly slathering my son with sunscreen every time he’s outside, yet SPF alone is not the best way to protect against damage. The next time your little one goes out in the sun (regardless of the season), take these precautions to protect their delicate skin! The best line of defense against ultraviolet light is to stay out of the sun completely —but that’s not fun for anyone, especially for those of us who endure long winters. The next best thing you can do to protect your children is to keep them in the shade, preferably using a UV tent or UV protected stroller. Also note, UVA rays can penetrate windows, so it’s a good idea to use a sun shield on your car windows while on the road. Covering up with hats and long-sleeved clothing is a great way to protect skin from the sun, but UV rays can still penetrate typical cotton or synthetic fibers. 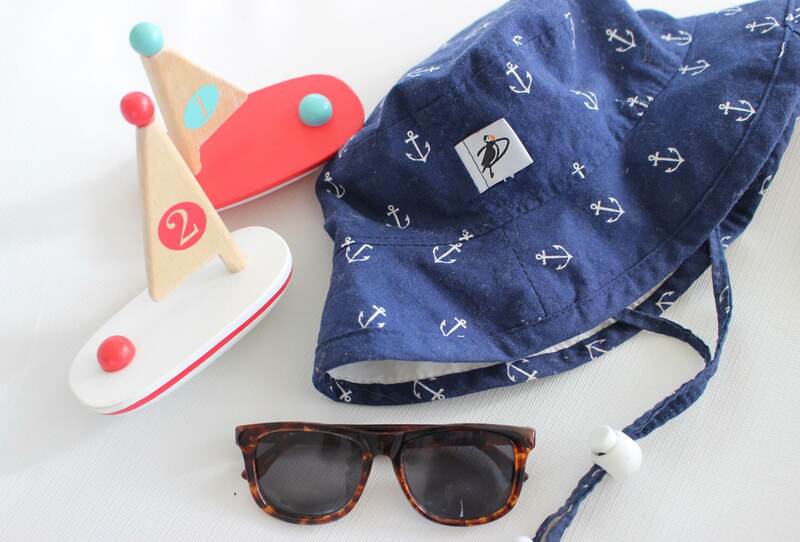 As a solution, dress your little one in sun-safe protective clothing, like a UPF 50+ sunhat and UV-Tee – especially while in the water where sunscreen can wear off. Sunglasses are also a good idea to protect children’s eyes. Unfortunately, not all little ones like to keep sunglasses on (mine included), in which case it’s important to put them in a wide-brimmed hat that will shades their eyes. You may have seen an “UPF” indication on sun protective clothing (vs. the usual SPF on sunscreen). UPF stands for Ultraviolet Protection Factor, and is a sun safety standard that measures how well a piece of clothing shields against the sun. UPF ratings indicate how much UV radiation can penetrate fabric and reach the skin. In order to get the most benefit of sun protective clothing, choose articles with a high UPF – for context, a UPF 50 is a good rating as it allows only 1/50th of the sun’s radiation to penetrate the fabric’s fibers. Sunscreen is not recommended for children under the age of 6 months old, so use the tips outlined above for small infants. For children 6+ months, apply a sunscreen with a broad-spectrum SPF of at least 30 on the entire body. 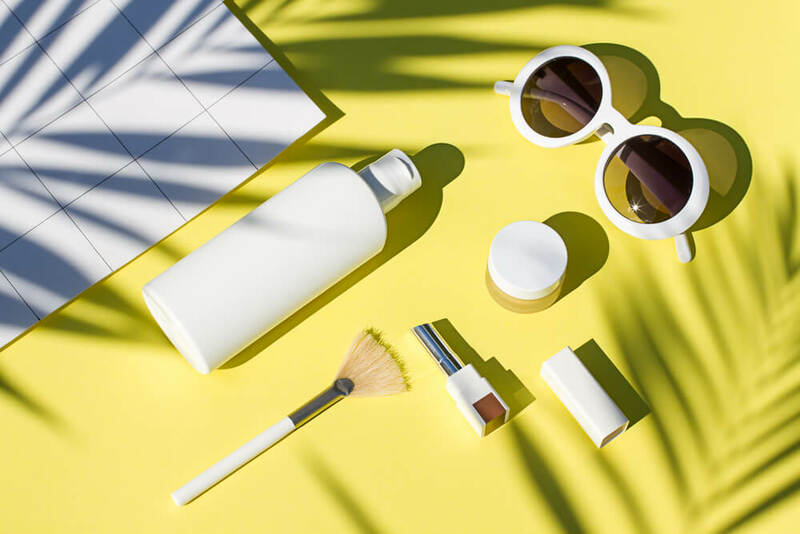 Mineral-based: When looking for the right sunscreen, I recommend choosing one that’s mineral-based, which can be less irritating for delicate skin than a product containing chemicals filters like avobenzone and oxybenzone. 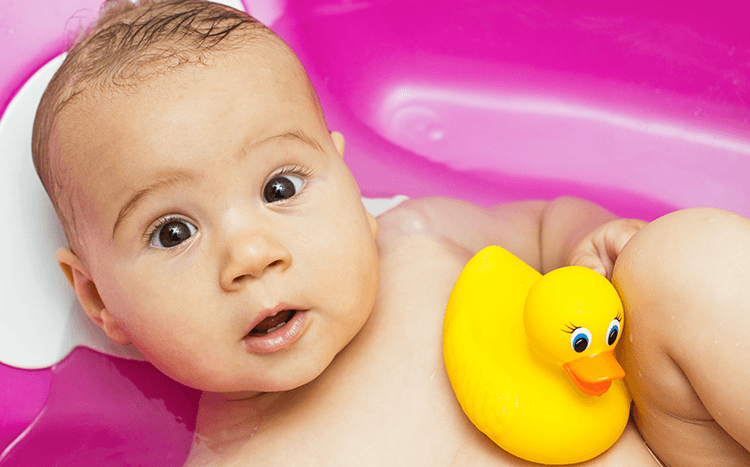 Perform a spot test before trying any new product to first see if your child’s skin reacts. Natural: It’s also a good idea to choose formulas containing natural plant-based ingredients that will be gentle and nourishing on your child’s skin. It’s common to see reactions from fragrance and additives, in addition to active ingredients. 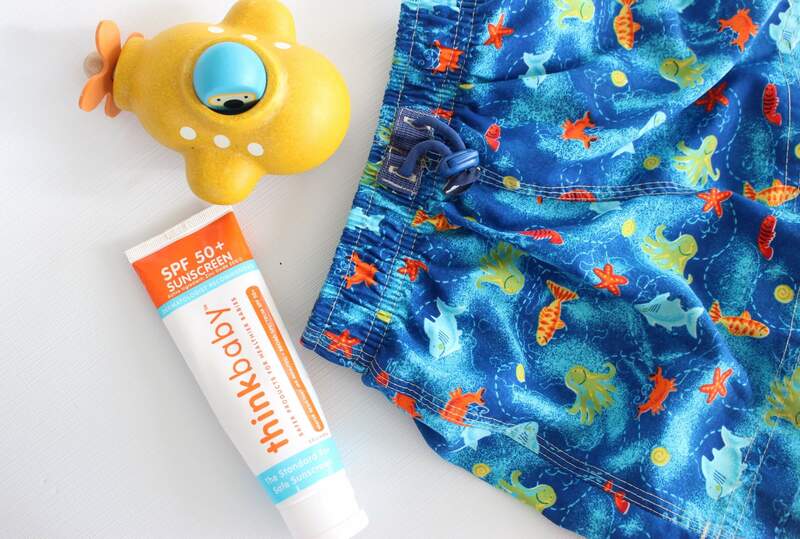 Try ThinkBaby Safe Sunscreen, or for little ones with very sensitive skin, try using Matter Company’s Substance Unscented Natural Sun Cream. Adults normally use 1-2 ounces (or a shot glass worth) of sunscreen to cover their body. Obviously, this is too much for infants but err on the side of caution by applying a generous amount to cover all areas. Don’t forget to reapply every two hours, especially after swimming or excessive sweating. There’s no such thing as ‘waterproof’ sunscreen. Formulas must adhere to label regulations by using ‘water resistant’ and outline the estimated time of effectiveness, either 40 or 80 minutes. This means that the sunscreen will protect reasonably well for the duration of that period but it’s not 100% fail-safe. For quick and easy touch-ups, try the Bare Republic Mineral Sunscreen Stick. Lastly, before you use that old sunscreen, make sure it’s not expired which can compromise the product’s protection factor. 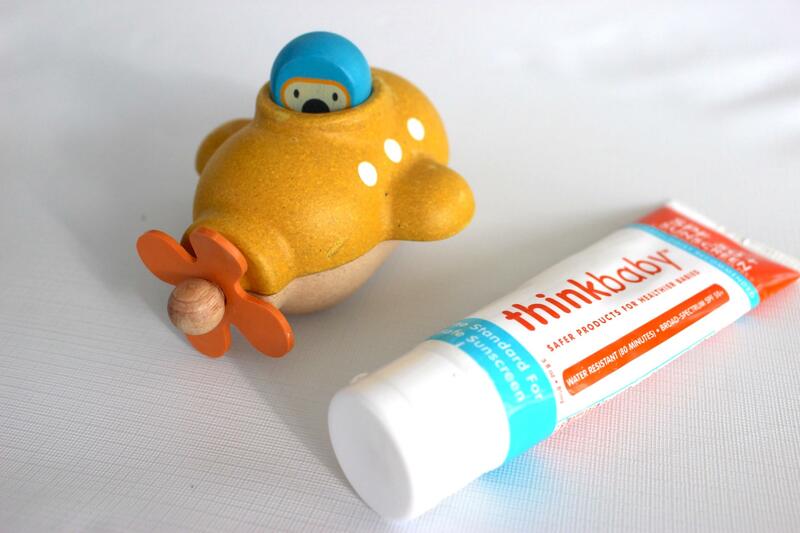 Baby sunscreens often contain emollient ingredients to soothe delicate skin but can make them feel greasier. They also often contain larger mineral particles that make them look chalkier. Adult formulas, on the other hand, are often developed with “nano-particles” to look less chalky, absorb more readily, and sit well under makeup. 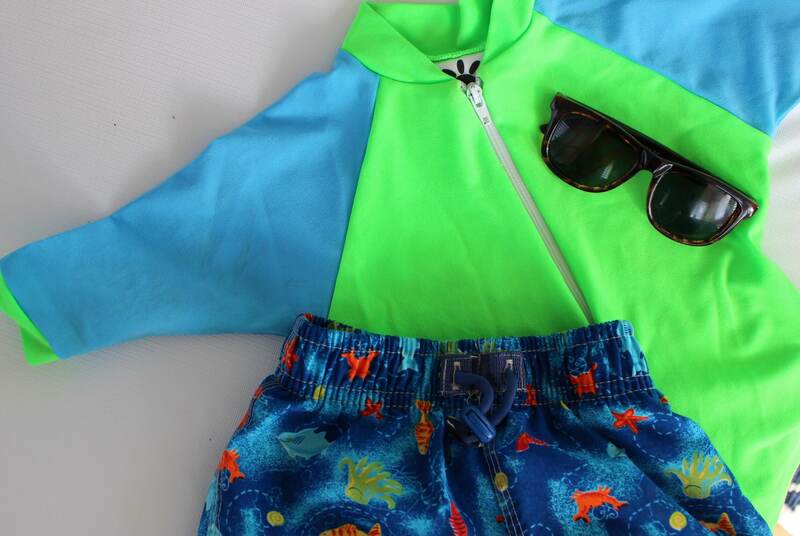 The next time you’re out in the sun with your little one, stick with these guidelines and you’re sure to stay well protected from the sun’s rays!